This exhibition presents objects that combine inclusive design and technology and result in equal parts, art and function. Together art, design, and technology produce ingenious and beautiful solutions that enable people of all abilities to interact with their environments. Sophie de Oliveira Barata, founder of The Alternative Limb Project, creates her art within prosthetic arms and legs. This arm was designed for model Kelly Knox who was born without a forearm. The Aura Powered Suit is powered clothing designed to assist movement for older adults. 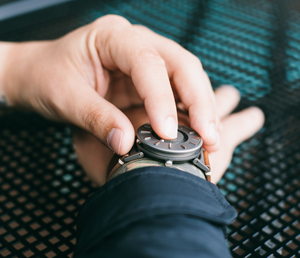 The Bradley is a watch that can be touched and seen to tell time, providing equal access for people who are blind or have low vision. Carpal	Skin	is	a	prototype	for	a protective	glove	to	protect	against Carpal	Tunnel	Syndrome. 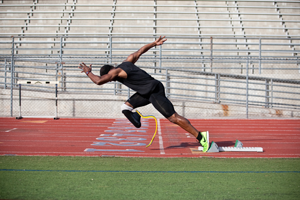 The Cheetah Leg prosthesis imitates the power and agility of a running cheetah. 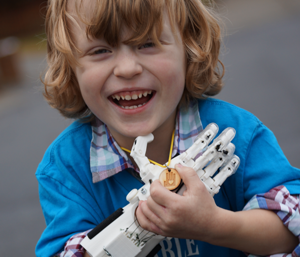 The e-NABLE Community provides free and low-cost 3D printable assistive devices for individuals with upper-limb differences. 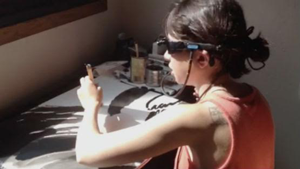 Emilie Gossiaux’s watercolor painting was made with the assistance of the BrainPort Vision Device. 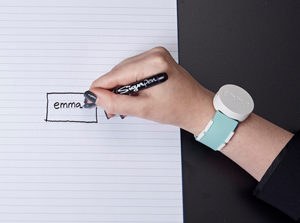 The Emma allows graphic designer Emma Lawton, who has Parkinson’s disease, to write and draw clearly. 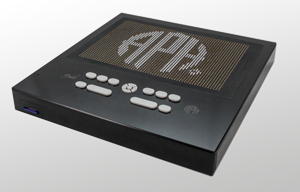 Graphiti is a tactile touch display that enables people who are blind or have low vision to access onscreen graphic. 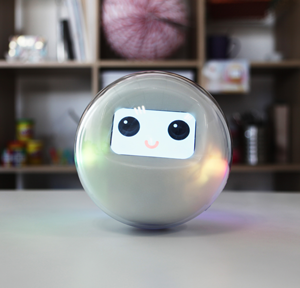 Ichó, is an interactive device in the form of a ball for therapeutic use. 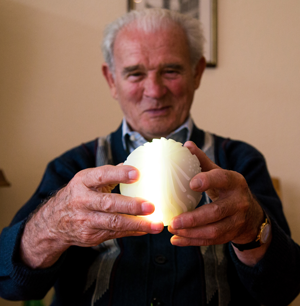 It’s a new digital device dedicated to people with cognitive limitations such as dementia. An interactive and multi-sensory smart toy designed to help children with autism learn to interact and communicate. Using a computer interface, the Mi.Mu Gloves can produce and manipulate sound through gesture. 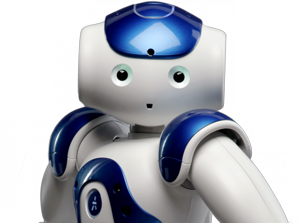 NAO is a human-like robot and is designed to assist children who have autism spectrum disorder (ASD). 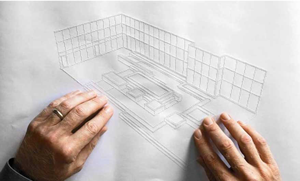 Chris Downey is an architect, planner, and consultant who is blind and uses raised-line drawings in his work. Read the Music allows musicians who are unable to read printed or handwritten sheet music to hear the notes played. 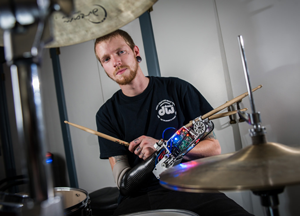 The Robotic Drumming prosthesis allows drummers without an arm to continue playing the drums. The prosthesis even includes an improvisation mechanism. 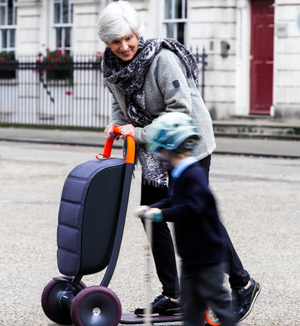 A scooter designed to help older adults stay active, safe, and comfortable. 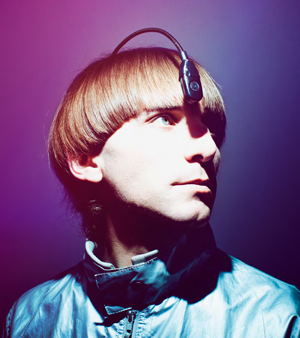 The Sonochromatic Head illustrates an eyeborg antenna that allows Harbisson to identify colors through sound frequencies. 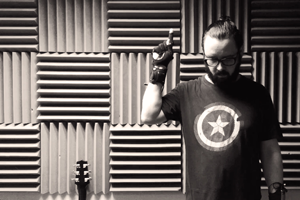 The Soundshirt allows deaf audience members to experience live music. 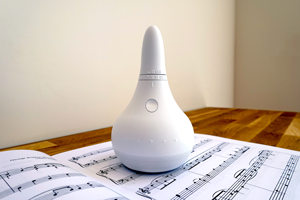 The Thync Relax autonomic stimulates the nervous system resulting in relief from stress and anxiety. 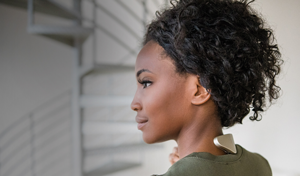 Wanderers is a series of 3D life-sustaining wearables that explore the idea of how dangerous planetary elements can be transformed to sustain human life. 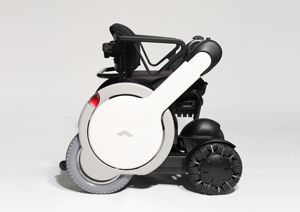 The developers of the WHILL power wheelchair wanted to improve the personal mobility experience with innovative design and advanced technology.